Do you do "Blue and White"? 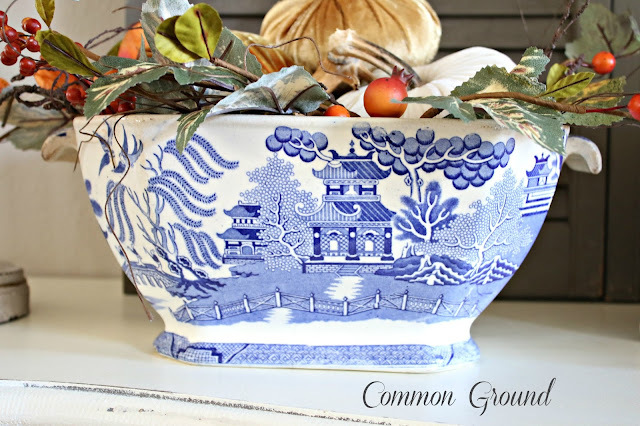 until I found this old Blue Willow Tureen for about $10 at a Flea Market. when I can add Pumpkins and Bittersweet. There's something about the orange that makes it work for me. 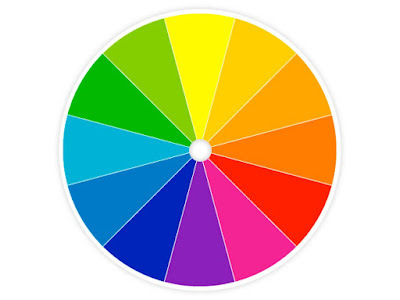 of each other on the color wheel. and that makes it work for me. I'm not knowledgeable about the Mark here. But I know it's English. anyone out there an officiando? but I guess it's just not "me". what we "look good in", as in our clothing, makeup, and hair color. And I rarely wear blue other than Navy and Denim. Oh Debra, I am just like you in that I don't really do blue - not in my decor, not in my transferware. Like you, I am mostly browns, then reds. 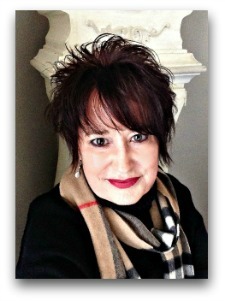 I'll leave it to Nancy to give you the company background (C.T. Maling, perhaps?). Having said what I said on having much in blues (I lean toward grays), I am most always drawn to it anyway. 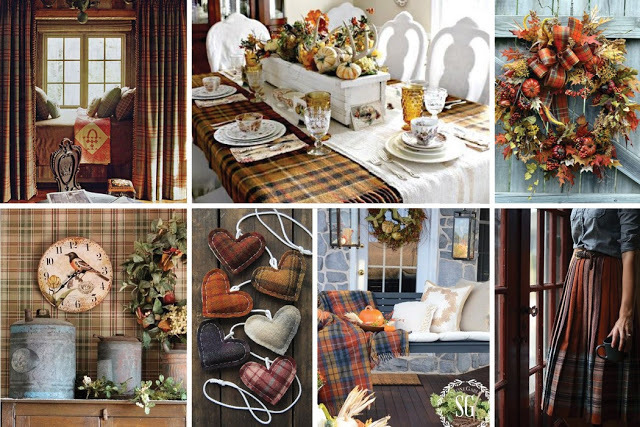 You're right, it looks terrific with the oranges as its complementary color, especially in fall. Gorgeous Blue and White, dear friend!!! 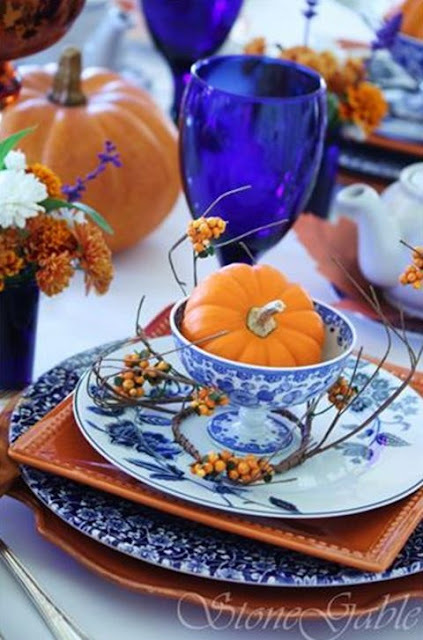 I agree that the blue and white is a perfect compliment to Autumn's vibrant hues!!! 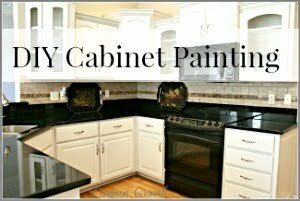 but I have found my true desires are with creamy ivory ironstone and pottery!!! I had a lot of blue and white, but gave up most all of it due to a shortage of space. I think it's very pretty though. I agree with you Debra. My coloring is on the cool side so I find I can 'live' with the warm colors for a bit if it's surrounded by cool color. I love blues and greens! 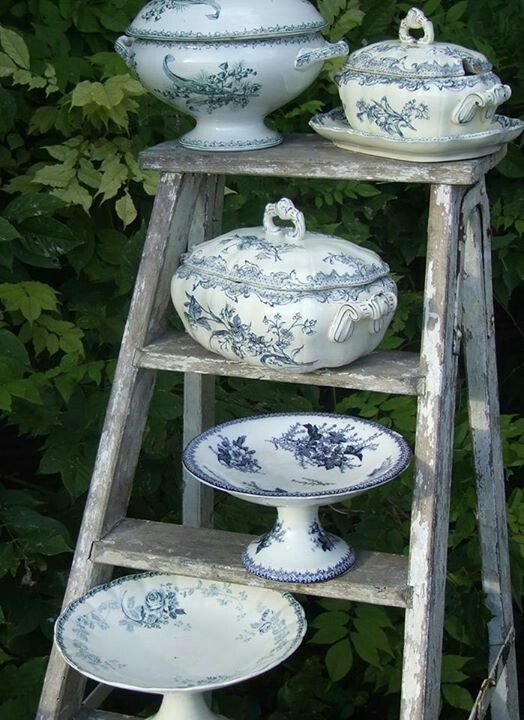 Love blue & white both in transferware and spongeware. Also love my collection of blue crocks! Nice to see it back in favor and so glad I held on to my favorites. Oh yes...I love blue willow and any blue transferware. I just started collecting it in the past year and it's been a lot of fun searching for it. 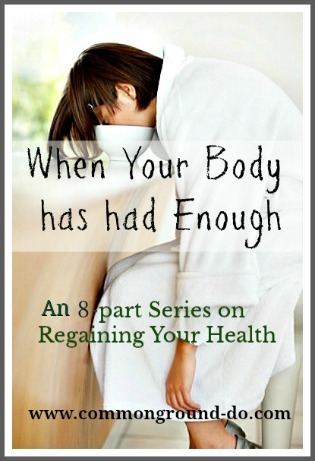 LOVE your $10 treasure and thank you for sharing it at Show and Share. 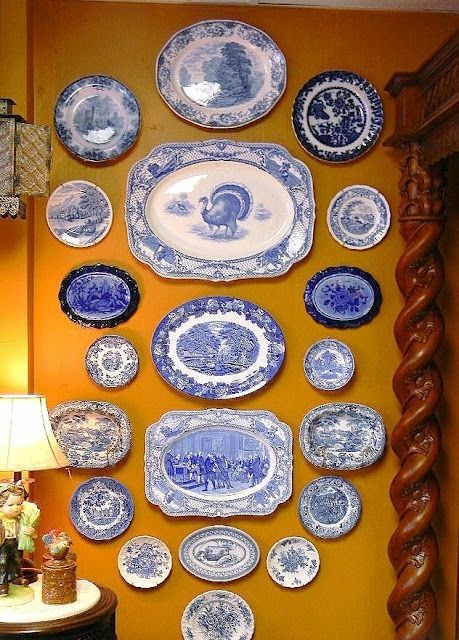 Well, there is no question we use a lot of blue here in our home. We have blue and white ceramics, but also blue in textiles, paint, wallpaper, carpets, etc. 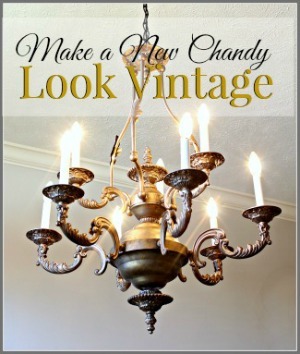 It has always been an accent color in our home. 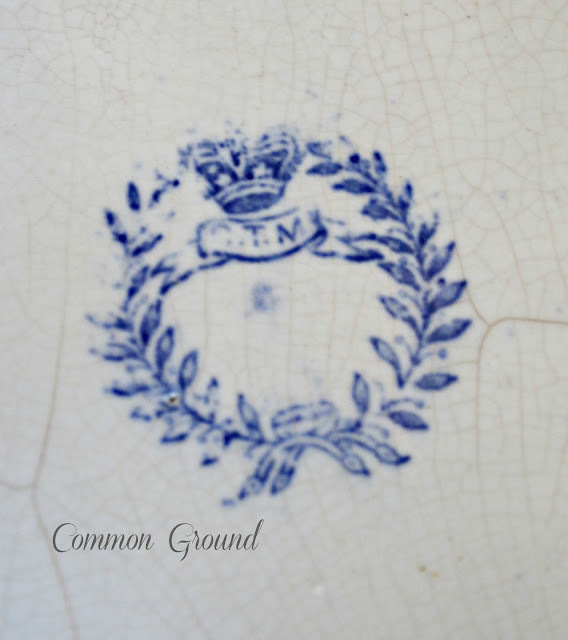 I love blue and white transferware. 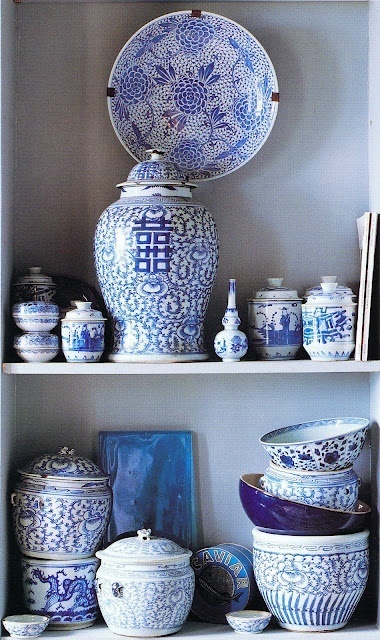 I have always liked a classic blue and white colorscheme in interiors too. 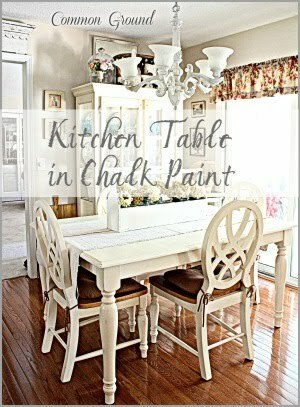 I have some of that in my dining room but not enough for it to stand out. 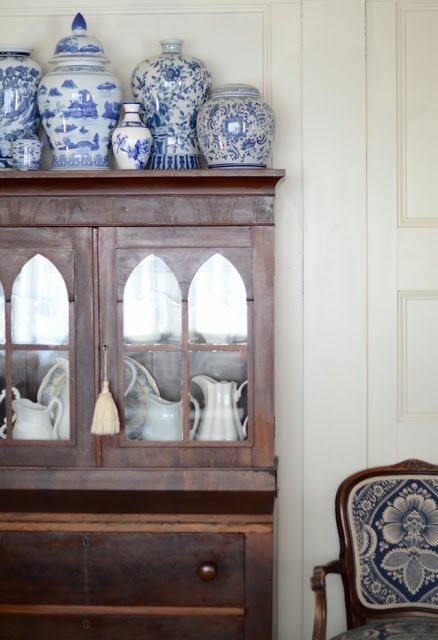 Blue and white transferware is my favorite color combo. 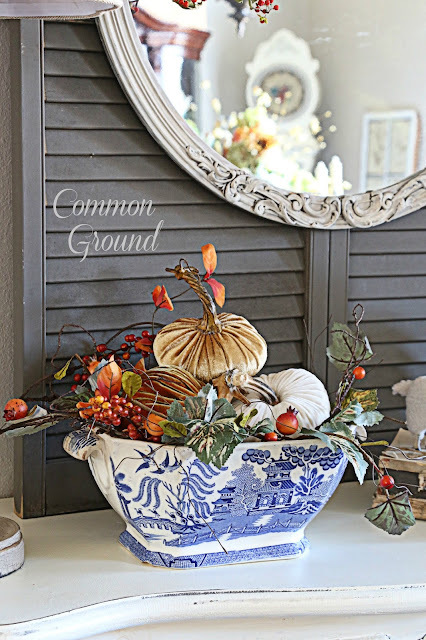 Your serving bowl is so pretty with the Fall fillers in it. It's classic and timeless. 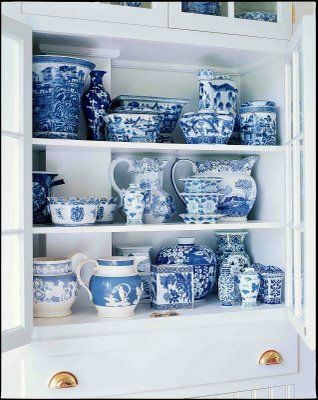 Blue and white has always been my favorite combo......for dishes, ceramics, fabrics, wall colors, linens, etc. But I am also a gal for color like reds and purples.....I'm crushing on magenta right now......one is not better than the other, just different!! Your tureen was a great buy!! 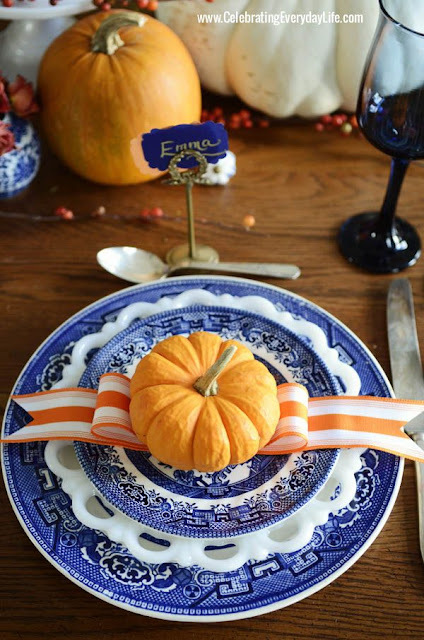 I love blue & white transferware with pops of little orange pumpkins, especially inside my dainty teacups. 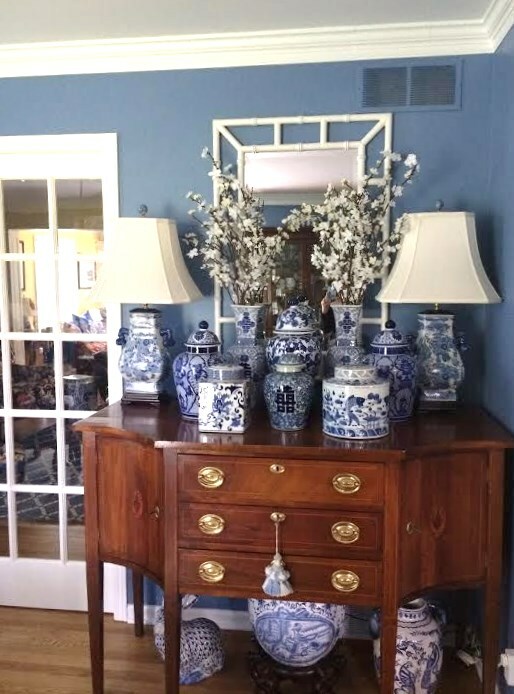 I've never been a fan of ginger jars, but the photo of that wonderful wood cabinet filled with ironstone and topped with blue & white ginger jars...LOVE! I mostly wear shades of periwinkle- a very good color for us "autumn" gals. 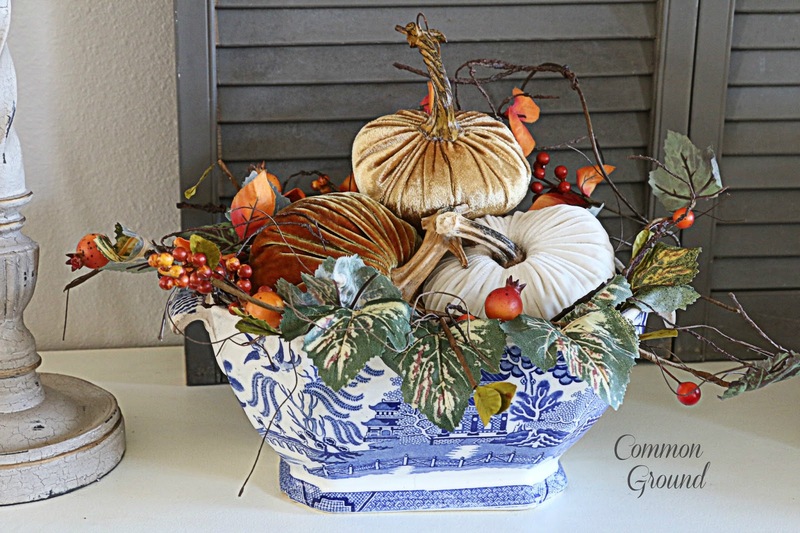 Love your new tureen filled with those sweet velvet pumpkins! I have a very large collection of blue and white and LOVE Fall when I can pair them with russet colotred things! That combo is just gorgeous to me. 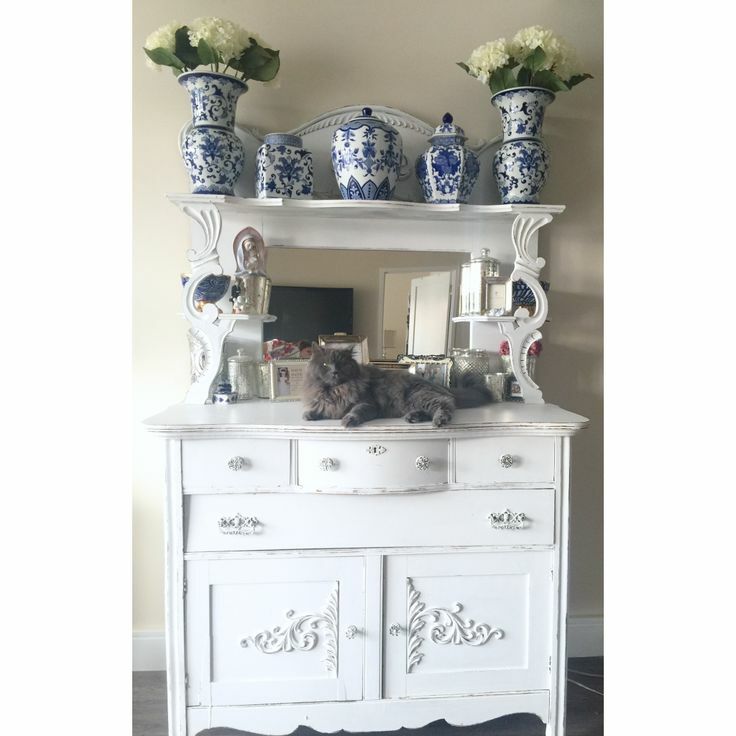 Love your tureen!!!! Wish I had one! 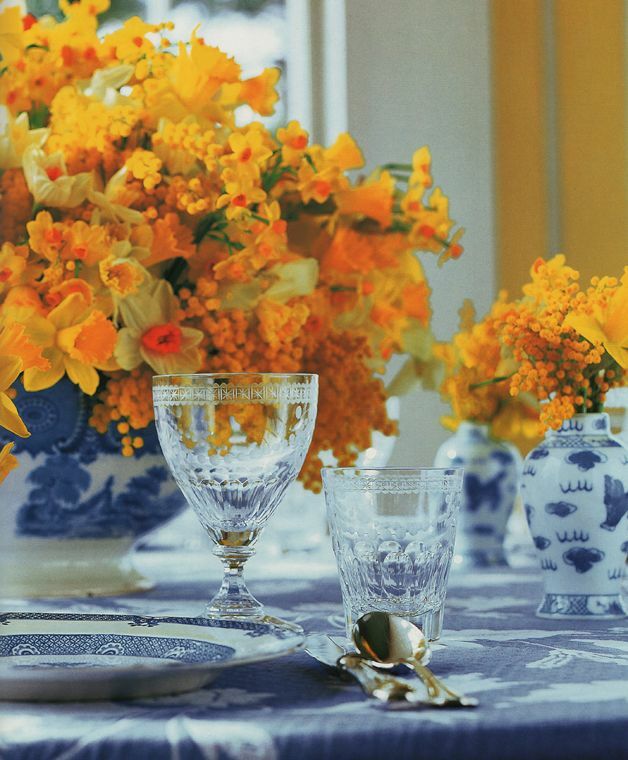 Love the blue and white transferware. Love the color combo with the orange for fall. I love transferware; especially the red which I collect. I have just recently started to collect bits of the blue. I don't wear blue either except for denim. Blue doesn't really look good on me. 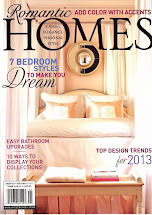 I do adore robin egg blue, aqua, and teal however and I have those colours in my home. The orange pop with the blue is very attractive. I am however painting all my pumpkins pink or leaving them white. 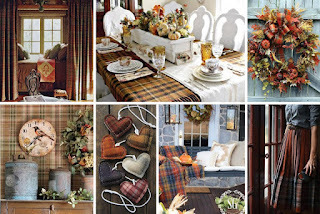 I like the softer side of Fall. Thanks for sharing. Love your tureen with the pumpkins it is so pretty. When I was 20 my clothes seemed to be blue. Now I have some blue in my closet. Mostly brown with my jeans and black and grey. 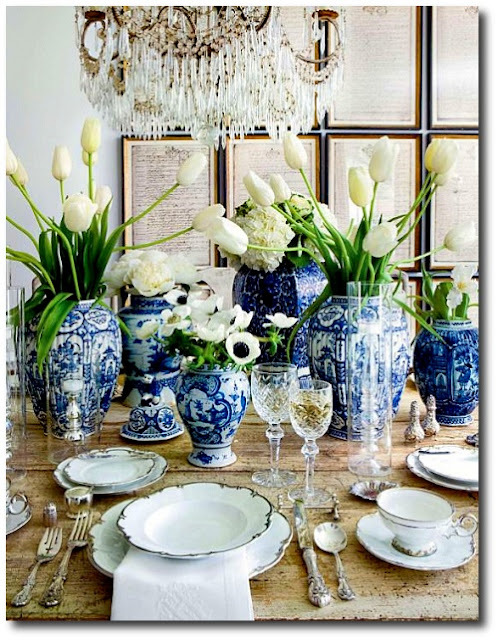 But I love blue and white paired together. 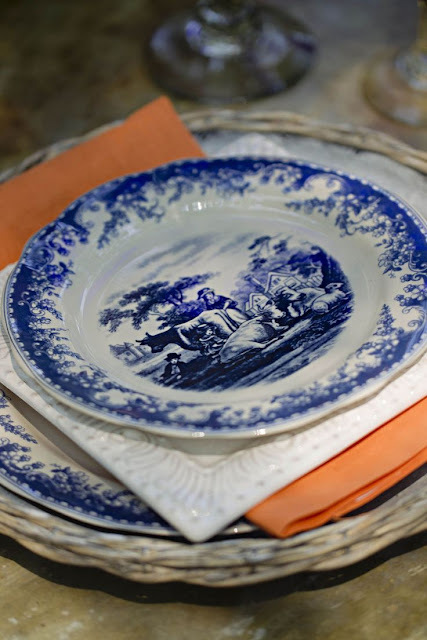 Love the blue and white dishes ,bought my first blue and white platter this summer. 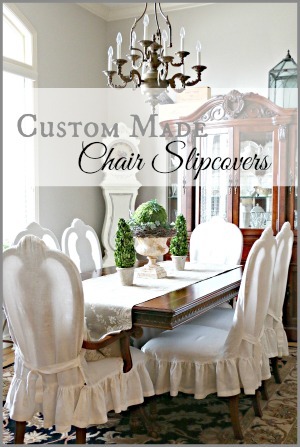 I was on the scoop on Stonegable saw your table top and loved it. The first time I seen blue and orange paired was on Stonegable blog and now here and I just love those two together. You are so right about blue and orange Debra. Love those two colors together. I just learned recently that color combinations like blue and orange, red and green and yellow and purple trigger some pleasure center in the brain and people find them most attractive. I got away from blue for awhile but now I am back! I love blue and white together. 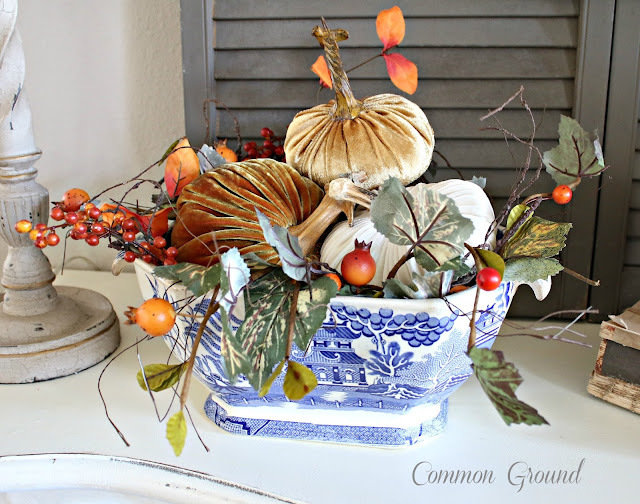 Your tureen is beautiful and I love how you filled it with the colors of the season. So pretty! 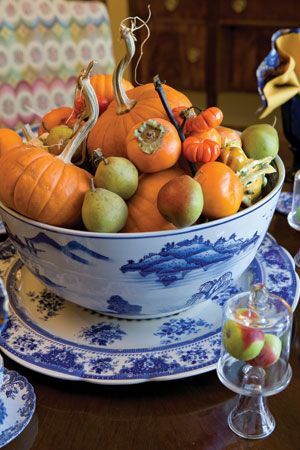 What a find, your tureen is beautiful, combined with velvet pumpkins; very elegant! 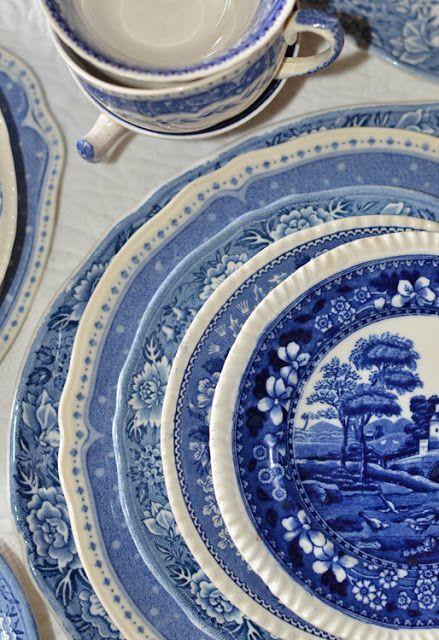 My Blue and White obsession started with a Blue Willow 'Coaching Scenes' transfer ware! Love the contrast with the Blue and Orange, they do make a striking pair for Fall! That is gorgeous with the velvet pumpkins in it Debra! I am a blue person, but I also love the brown like you! You have a lot of gorgeous brown and white transferware too. You make it all look good! You have some real beauties here! I've only just recently become more interested in blue transferware. My preference has always been for red, then brown, transferware. 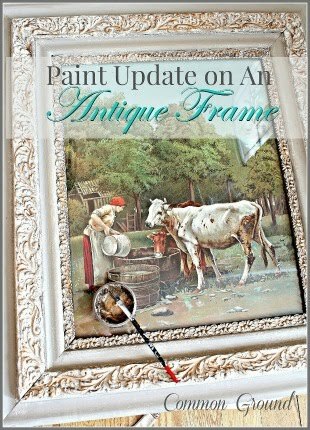 Even so, my preference is for the softer, more faded blue colors-- not a fan of the dark, cobalt blue transerfware.